A few months ago I came across an article cautioning travelers to stay away from several iconic locations in Italy this year. The double edge sword of travel. A place that stirs your soul can’t stay a hidden gem indefinitely. What do you do when the balance is lost. The very reasons you treasured a location becomes threatened by the crowds that have felt the pull as well. The Cinque Terre is one of those places for me. My first visit, I rolled into town with a back pack and simply asked around until I found a place to stay. I watched the World Cup on a giant TV the locals had pulled out into the street. As the years have passed, I’ve brought my family, my friends, my clients and my children here. Recent years have brought someone else. The cruise boats with their crushing crowds. 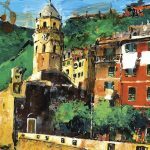 Do you skip the Cinque Terre this year as the article suggested? Or do you find another way? I hate being a quitter. Instead a focus on work-arounds for my clients. Getting to enjoy an area while finding options to reduce the negative aspects of the crowds through timing, alternative routes and locations. I would like to introduce another option, a little town called Levanto that is up the coast and only minutes from the Cinque Terre. Close enough yet just far enough too. 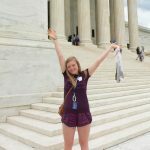 Who better to show you why we should not give up on the Cinque Terre than someone who is living their dream. Please welcome Paula and Villa Valentina from Levanto. There’s no doubt about it, the Cinque Terre (Five Lands) located directly on the Mediterranean Sea in northeast Italy are a gem. This area was recognized by UNESCO as a World Heritage Site in 1997 and designation as a protected marine area and a parco nazionale (national park) soon followed. The Cinque Terre villages are on the bucket list of most every traveler “in the know” making their way to Italy. Word of mouth and social media (in particular, Instagram) have made the area boom in popularity. And there’s no denying why… the photogenic pastel-colored villages clinging to the cliffs above the transparent Mediterranean Sea, not to mention the terraced vineyards perched on crumbling cliffs, are a spectacular sight to behold. Unfortunately, fame is a double-edged sword. What were once quiet streets now fill during the day with groups of tourists doing their best to keep up with the fast clip of their flag-waving guides. Local town halls in the Cinque Terre have come to the realization that this sort of mass tourism is doing no favors for our area and have begun to enact measures to encourage slow-paced, sustainable tourism (and discourage large, guided groups on whirlwind day trips). On a positive note, with minimal effort and a little help from us, your itinerary can be adjusted in order to discover the true essence and beauty of the Cinque Terre… well away from the crowds. My story is like one of many here in the Cinque Terre. I’m an American expat that was swept off her feet 22 years ago by a handsome and charming local while I was on vacation here. Just one year after we met, I gave up my executive life in San Francisco and moved to the small fishing village of Monterosso in the Cinque Terre— never say never! 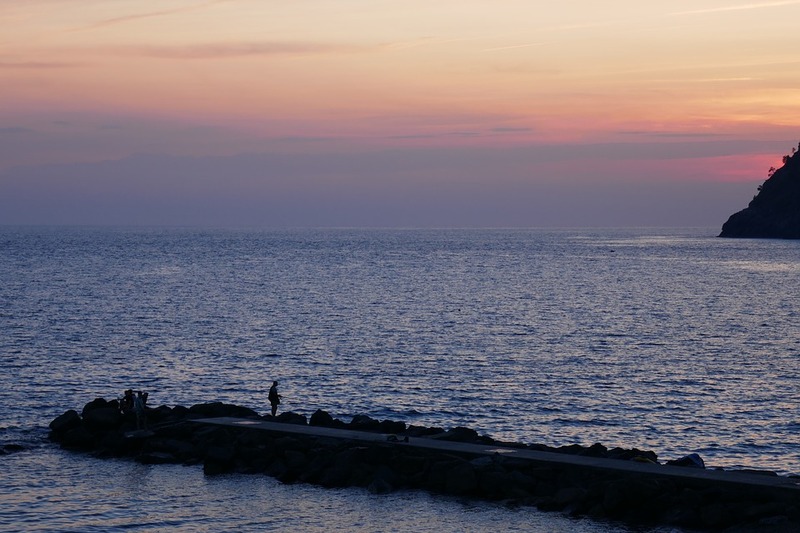 I began my new life with my husband Angelo, a fisherman in a never-ending line of fishermen from Monterosso (going back at least 10 generations). 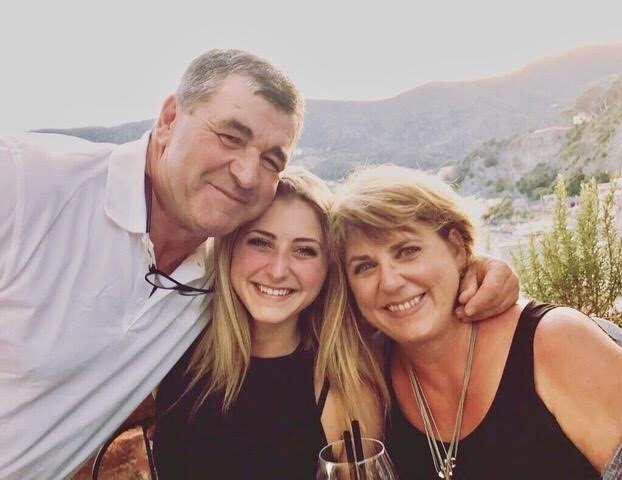 For the past 21 years I’ve immersed myself in everything Cinque Terre, working in different aspects of the hospitality industry while raising our daughter, Valentina. Angelo and I have witnessed firsthand the growth, and change, of tourism in our beloved Cinque Terre. In 2014 we decided to take a leap and create something unique to the area by opening our very own luxury boutique hotel, called Villa Valentina, located in nearby Levanto. With its beautiful beaches, flat terrain and relaxed atmosphere, Levanto has the best of both worlds: the old-world charm and authenticity of a small Italian town, super close proximity to the Cinque Terre (it’s just four minutes by train from Monterosso, making it easy to hop over in the day or evening), and an oasis of tranquillity well away from the crowds and tour groups. With Villa Valentina, Angelo and I combined the best of both of our heritages: my American attention to detail and the finer things in life and his warm, rustic and oh-so-Italian conviviality—simply put, all the 5-star comforts with the charm of Italian hospitality. 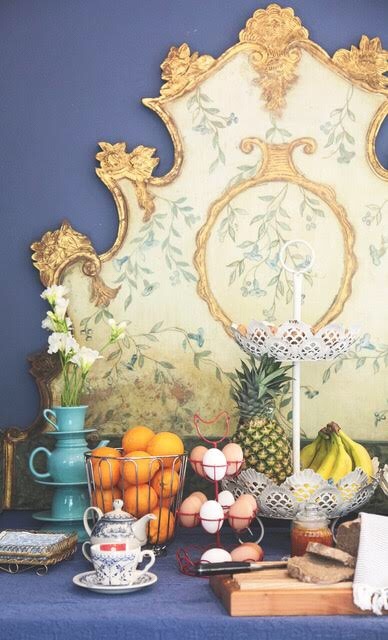 At Villa Valentina, it’s all about the details. Every single detail of our hospitality and accommodation has been pondered and carefully chosen: from the comfiest of beds (seriously! ), luxury linens and down pillows to our soon-to-be-famous locally sourced gourmet-style breakfast. 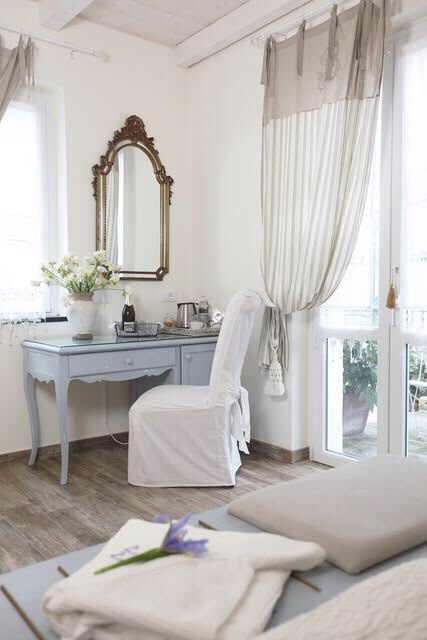 At Villa Valentina, no detail is ever too small. We pride ourselves on offering amenities that will make you feel like you’re staying in a home away from home. Our consistent #1 rating on TripAdvisor is something we are very proud of. When you stay with us at Villa Valentina, we want you to feel like you are visiting friends or family in Italy. We are so fortunate to live here and we LOVE sharing our villa and area with others. We go out of our way to ensure that you experience only the best of our area, from the Cinque Terre and beyond. We lend our bicycles so you can explore not only Levanto like a local, but also the charming neighboring villages of Bonassola and Framura. We have created a detailed Insider Guide (PDF file) for our guests so they can best organize their time with us, even before they arrive. 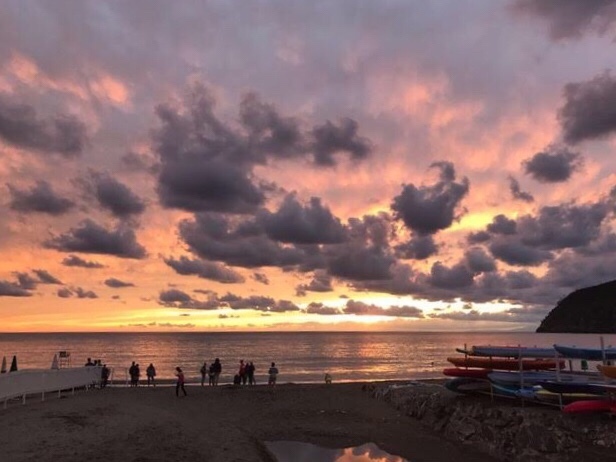 We team with likeminded locals (like Amy at Cinque Terre Insider) to get our guests off the beaten path and fully immersed in this glorious landscape— together we will help you experience the Cinque Terre as a local would. Our hospitality doesn’t stop at the gate of our villa grounds: Angelo himself takes our guests on VIP boat tours (an exclusive offering for Villa Valentina guests) of the lesser known, unspoilt areas of our breathtaking coastline. In our opinion, you haven’t fully experienced our area until you’ve seen it by sea. Who better to take you than Angelo, a 10th generation fisherman, who knows these waters like the back of his hand? The sea is Angelo’s passion and his home away from home and he loves nothing more than sharing it with our guests. If you’re wanting to experience our area through the eyes and perspective of a local, this is a great way to do it. The moral of the story? Don’t be put off by potential crowds in the Cinque Terre; with a little effort and a hand from us you can get away from the bustle and into your own slice of Italian paradise. 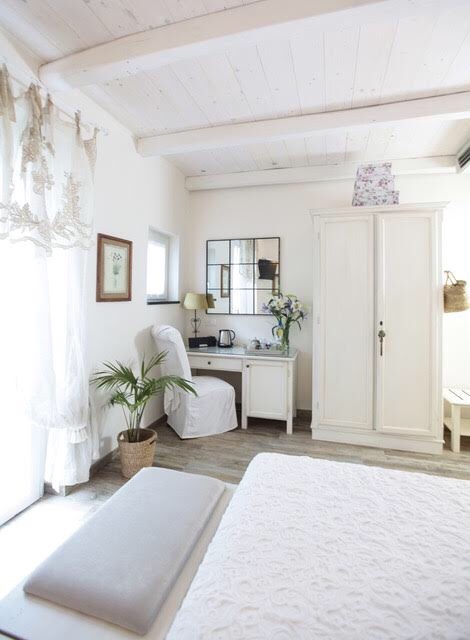 For those wanting to discover the Cinque Terre and the Italian Riviera, Villa Valentina is the perfect and premier choice in which to base your stay. Vi aspettiamo! 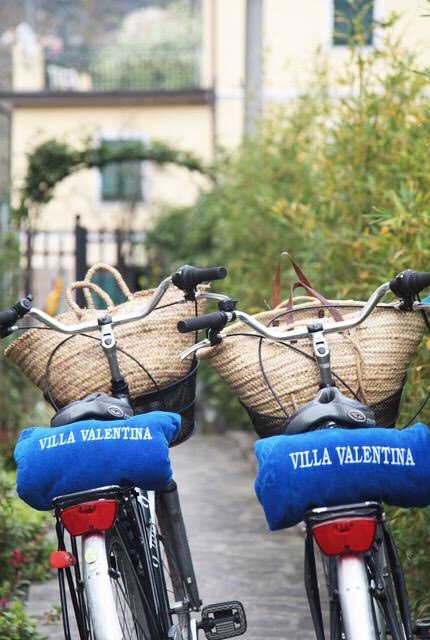 Pop by to say ciao to Villa Valentina on Facebook or Instagram. A presto!